The wedding ceremony of Spencer and Laura last Saturday might have been a bit overcast but no less romantic as the couple exchanged their vows at dusk under a multitude of twinkling lights suspended from the grape arbor. The M.O.G. 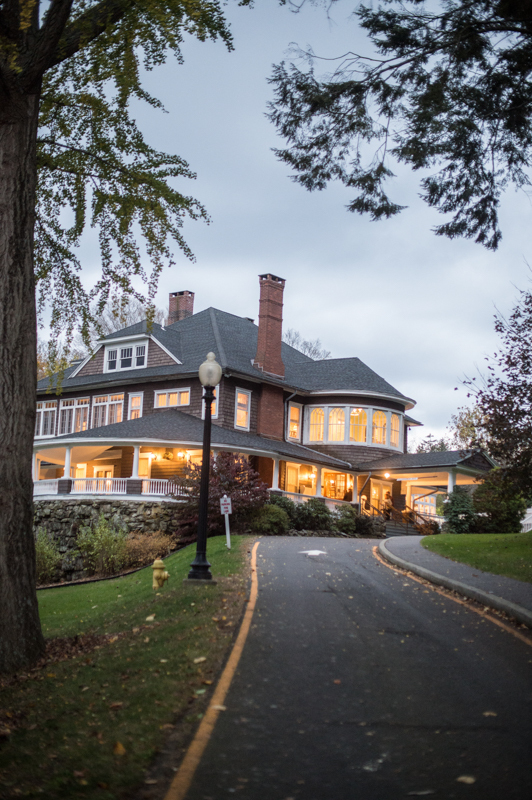 Tracy who doubled as their wedding planner said it was going to be a three day event with the rehearsal dinner at her home overlooking a lake in Ridgefield, the wedding ceremony and reception at the Tarrywile Mansion, followed by a brunch on Sunday for the out of town guests. I imagine there were quite a few out of town guests or should I say out of the country guests since the bride Laura originally hails from Canada. The couple also live in Texas which I’m sure added to the out of town numbers. Once the part got started in the Mansion the overcast cool weather was forgotten as their guests got down to the business of dining, drinking and dancing. They chose to have more of a cocktail type food menu with guests seated in the living room, library, and veranda allowing the conservatory to be used for the DJ and dancing in the formal drawing room. Instead of the traditional wedding cake they chose to have a cupcake truck come in when it was time for the cake cutting. I would like to thank Tracy for following her instincts to stop in when she saw our “Rent Tarrywile for your next event” sign that was placed strategically out in front of our driveway. We are happy you let us share in your a special day. We would like to wish Spencer and Laura best wishes on their wonderful journey as they build their new lives together.